What is EQ all about? Today we begin our work creating and cultivating Edmonton conversations. Welcome! There are three areas we are working toward goals in: community, business and journalism. Each comes with its own challenges, and we hope they all end up making Edmonton a better place to call home. The short version of these goals is to help build a more engaged and informed Edmonton, create a successful business that funds local journalism and have that journalism inform people while incorporating more voices and perspectives than is always included in local news. The longer version of our goals makes up the remainder of this post and details a little bit more of why we think these are important areas to work in. Our goal is to help you get involved in building the Edmonton you want to see. We want people to care about Edmonton. Everyone living here has a stake in things working out, becoming fairer and producing a good quality of life. This city should be welcoming and progressive but not shy away from confronting things we’d rather change or forget. Our greatest goal at Edmonton Quotient will be to create and cultivate conversations about Edmonton that educate and inform you. If there are events you want to take part in, we’ll point you where to go next, if there are stories that interest you, we’ll tell you how to get involved. We want as many people as possible engaged and working to build a better city and we see this as our biggest responsibility. Our goal is to make money and become a sustainable media company. This is really the key when it comes to talking about media today. Can any company be successful and maintain profitability? We believe it’s possible. One huge asset in telling local stories could be local business. There’s still something important about Edmonton businesses being in front of an Edmonton audience. And, yes, that’s money we can use to fund our journalism. We aren’t shy about talking about the connection between a media company’s content and revenue. You’ll see ads and sponsorship on the Edmonton Quotient website, whether you’re viewing it on your computer or a phone. The difference, however, from so many other websites – including those in the local media space – is that our ads are for Edmonton businesses only. You won’t find a Google or ad network box here. We think it’s important to find out about great local businesses. There’s a huge advantage to the Edmonton economy when we support entrepreneurs in our neighbourhoods. And it’s nice to be able to know your favourite business owners by name. So, here’s our request to you as an audience member: Trust the local businesses that trust us. We won’t clutter up the website with too many ads and pop-ups and we hope you’ll look at the few ads that are here. We sure hope you’ll check out these businesses too. If you do end up buying something from them, please let them know EQ helped connect you because our success comes from the success of other Edmonton businesses. A short aside for those of you concerned about Internet privacy. We won’t be using ad network boxes and pixel tracking, so you won’t be followed by the advertising you see on EQ. That is, if you happen to visit us and see an ad for Edmonton Biz X you won’t be followed around the Internet for weeks by the same ads from Edmonton Biz X. Our goal is to fearlessly tell Edmonton stories and include more voices. We want to tell Edmonton stories. Those stories should teach us all something about our city, whether detailing why decisions made at city hall are important or proposing new ideas to improve the quality of life of people living here. It’s integral that local media reflect its community and residents through its journalism and provide people with information and tools to get involved. 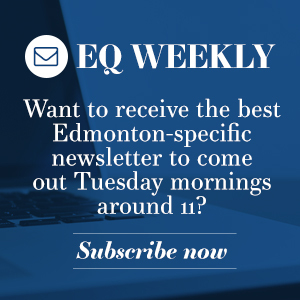 Edmonton Quotient will create journalism that is fair and informative. This does not mean, however, that every story needs input from every possible side. The old ideas about journalistic “objectivity” don’t make sense when climate change is indeed real, opposition to a government policy is bluster without substance or those seeking the media spotlight want coverage instead of discourse. We reject the idea of “alternative facts” and those who would take up valuable storytelling space with them. Our journalism must also include more voices. Those crafting our stories and those we speak to for comment and insight can’t just be the same people we’ve heard from time and time again. 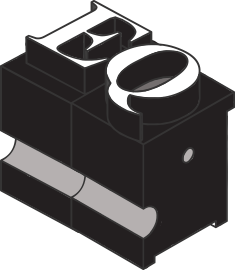 EQ will seek to include new voices, marginalized and ignored voices, Indigenous voices, people of colour and those with disabilities in as much of our content as possible, not simply stories that directly affect some of these communities. We will always try to break through white, male and class privileges and we hope you’ll hold us accountable to that promise.